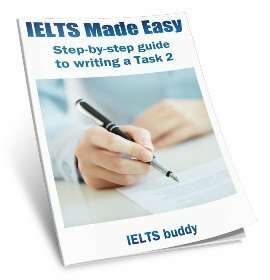 Did I mess up the IELTS speaking Test? I took my ielts speaking test few days back. My exam was in the morning but it took me ages to have the speaking, it was at 6 in the evening. Being a native speaker, I never really thought I would have any trouble with this particular part but unfortunately I think I have messed it up! The lady looked irritated and worn out! She seemed knackered. The first part was fine. She asked me when was the first time I brought a flower and a magazine etc. I told her I have never been fond of gardening. Anyhow, she seemed so uninterested and least concerned that it got me confused. Her: do you believe in sharing? Me: no! I don't really share my stuff with anyone. I am quite possessive. Her: okay. How you promote sharing in children? Me thinking omg, I have messed it up. I got confused. For part 2, she asked have I ever shared something with someone? When? How was it etc etc? I said "my graduation day" and shared the memories and stuff about that particular day. But she was like "say something more". I didn't know what to say :/ I was like "What should I say 😳?". I couldn't think of anything,. I repeated few stuff .. She again said "can you speak more on this". God!! Part 3 went fine but now I'm super nervous and scared about my results. She could tell I was born and brought up here. And Another mistake "I said privacy in the American accent. While the rest of the conversation was all in British English". Please! You think I'll cross the 7 mark. 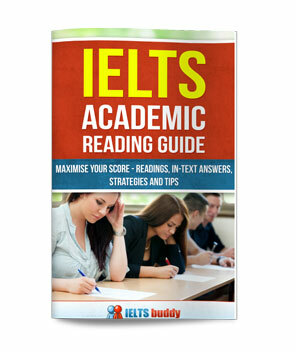 Comments for Did I mess up the IELTS speaking Test? Firstly, it is impossible to predict your score and to say if you may have got over 7 or not. But the things you mention would not prevent you from getting a 7. The speaking test is objectively graded on your speaking, so it doesn't matter whether the examiner looked irritated / uninterested or not. That may just be your imagination or maybe she had had a long day and was tired, but either way that has nothing to do with your score. For part 2 you should aim to speak for 2 minutes. If she kept asking you to say more then you had not spoken for 2 minutes and she was giving you a chance to say more. Again, if you then did say more it will not necessarily affect your score, but again it's difficult to judge without actually hearing your test how you did in part 2. And the bit about using an American accent at one point, that really has nothing to do with anything and will not impact on your score in any way. So try to stop worrying as it does not seem you have many reasons to and wait for your result. 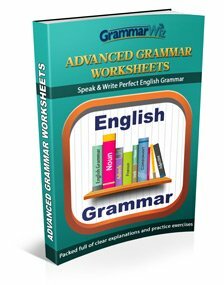 I have heard that contractions can be used, as they sound more like a native speaker. Yes of course you should use contractions. You are assessed on the naturalness of your speaking. When we speak naturally we use contractions, we don't say 'can not', 'do not' (unless maybe we are emphasising it for some reason, such as telling someone off). I would also suggest that using contractions is fine. Despite messing it up, i did manage to get a 7 in speaking. Unfortunately , 6.5 in writing. Thumbs up for your evaluation though. How about using gonna or wanna? Would it sound natural? Yes you should be saying things like "gonna" or "wanna". That is how we say those words when speaking and you need to sound natural. Hey Mesh, I think I made similar errors. So what score did you end up with? I attended the test on Nov 4th. In the first part the examiner asked general questions related to flowers, caps and hats mainly social importance. Cue card:- Talk about a change that happened in your life with a positive result. 1) what was the change? 3) what are the effects on your life? How did you benefit from this change? The third part mainly concentrated on changes in my personal life, professional life etc. What are the changes that you can see from past in the working habits, social changes, position of men and women in society? 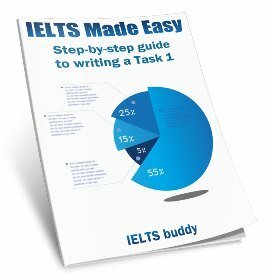 Hello, I just finish my Ielts speaking test and I am not quite confident for my Part 2 because I repeated the same thing many times and basically I didn't know what to talk about. i might have gone off topic. i had almost 30 seconds pause. for my part 1 and 3 I managed to answer all my question quite fluently. Do you think I am able to get Band 6 despite my mistake for my Speaking test? Unfortunately it's really not possible to predict scores without hearing your test. Did my speaking test. The part two was a bit awkward to me. I was a bit slower in my articulation because I had to make things up. The follow ups didn't seem horrible to me. Now I'm confused because in part two the examiner had to cut me for the follow ups. I guess I might not have made so much sense on part 2. The examiner who wasn't smiling at all initially was all at part three. And I didn't make any joke. Does it mean I was ludicrous or something? What does it mean when the examiner starts to smile profusely all of a sudden? is it a bad sign or good sign? I'm not sure what you mean by 'cut me'. But anyway, it is possible you said something amusing without realising it so maybe the examiner was smiling at that. Impossible though to say why. But either way, it's not relevant to your score. Just because the examiner found something to smile at, they still have to be impartial and just mark you according to your ability in the test in terms of fluency, grammar etc. So don't worry about it, your scoring should be fair.